I've already felt the urge to purge and have started a bit of a spring clean and sort out. I've got too much of just about everything it seems and it's got to go. Spring cleaning isn't just limited to one's stuff though, it also includes yo' face. Chances are it's carrying around some extra gunk you really don't need (or want.) What's a girl to do? Call Ellen Lange. 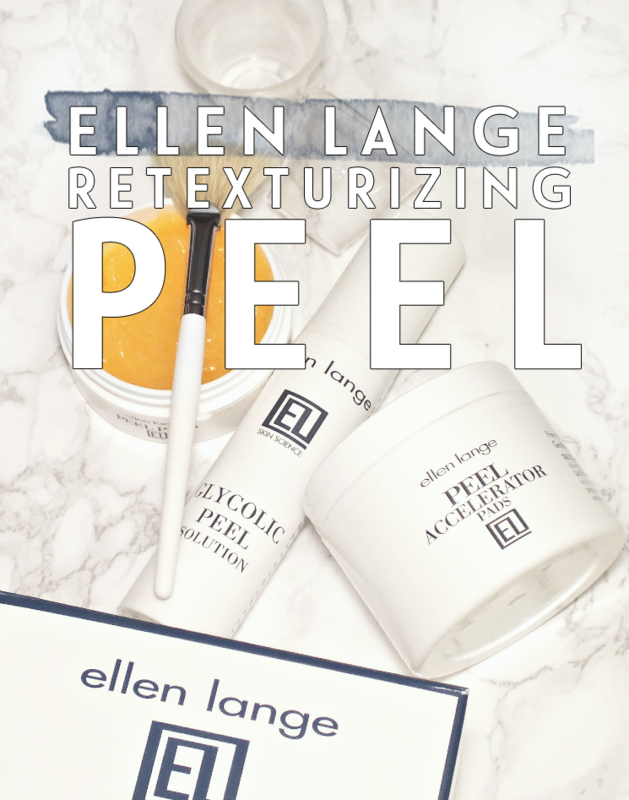 More specifically, call in the Ellen Lange Retexturizing Peel. The three step Retexturizing Peel is ahhmazing. Well, I think it is, as my skin is at it's best with regular exfoliation. I like them all, mechanical, enzymatic, chemical... A bit of everything. 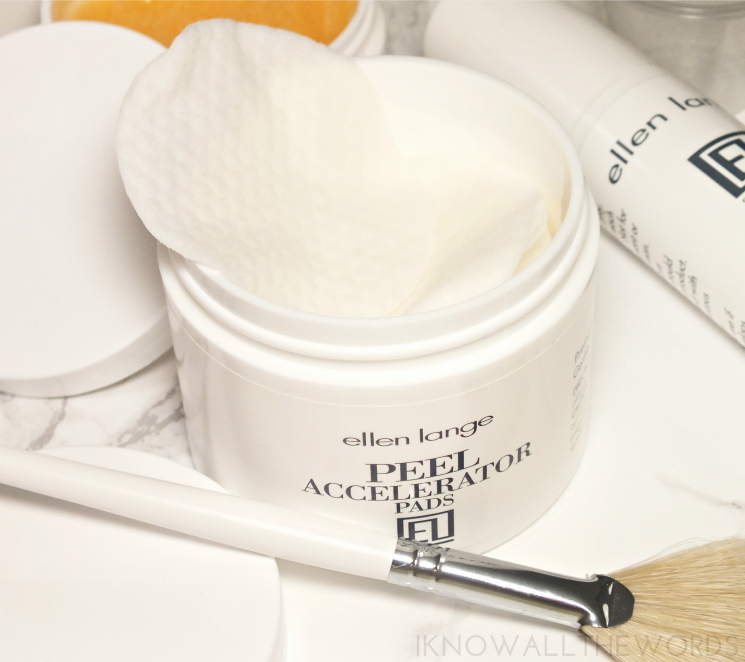 That;s actually what yet with this peel, as it does utilize the three main types of exfoliation. The three step process is simple, and not as time consuming as you'd think- the whole process only takes about 8-10 minutes. 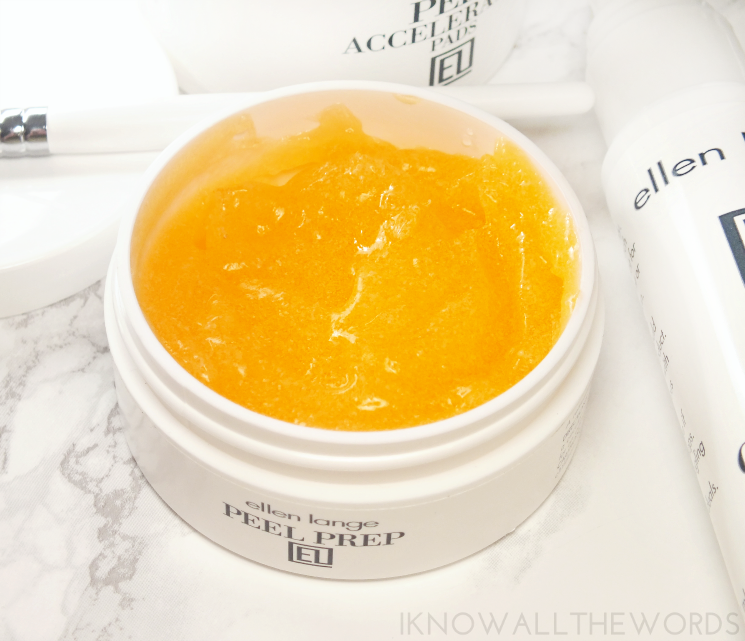 Starting with a clean face, you apply the Peel Prep Scrub (60 ml). The orange goo has a fine grit and papaya fruit extract. It's massaged on skin for 30-60 seconds, then left for a minute to do it's thing. After rinsing, step two begins with a swipe of the Peel Accelerator Pads (60 count). The pads are saturated in a glycolic acid and witch hazel based solution and work to accelerate the exfoliation process. The kit contains enough product for ten peels, but you're given extra pads for daily use to keep skin in check between treatments. I found the pads left my skin with a bit of a tingle, but that is normal with the process. 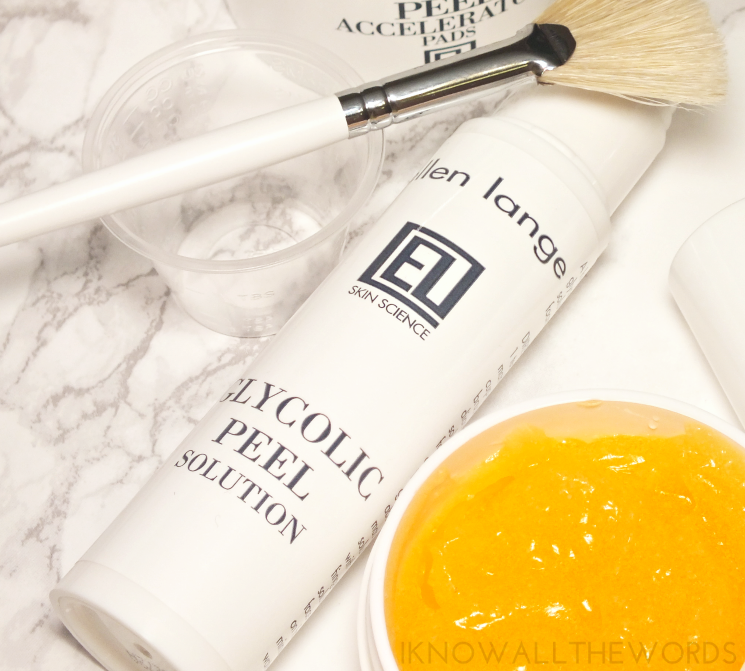 The third, and last step follows with the Glycolic Peel Solution (50.5 ml). After pumping 1 tsp. of the solution into the handy measuring cup, you brush it on following the guide on the box. The solution fizzes and foams on the skin (much like an oxygenating mask) while it activates. After massaging, you leave the solution on skin for 4-5 minutes. They are the longest minutes if you happen to be ticklish, as the solution fizzes and foams again. Overall, I am really pleased with this peel! While it may prove to be too intense for sensitive skin types, it does an amazing job of sloughing away all the dead skin cells, dirt, makeup, oil, and whatever else is sticking around on your skin. After use, my skin is just a touch red (it doesn't last long) but is clearly brighter looking and so much smoother. I follow up with a bit of facial oil to replace any lost moisture and am able to see the difference this makes immediately. Are you fan of peels? Have you tried this one or anything else from the brand?